In the summer of 1998 Jan Sallander started a band under the name "Cold". felt that it was not enough for the music he created. It needed two guitars. In the end of year 2000 the drummer and bassplayer quit the band, but the band quickly found a new drummer (Björn Eriksson) and a new bassplayer (Patric Syk). After that the band had a solid crew.!! At the same time The Cold Existence moved to a descent rehearsalroom in Gothenburg. In the year 2001 the band wrote 15 songs and recorded a couple of demos for personal (use/usage), and they also started to perform live more often. In the year 2003 The Cold Existence recorded their first official (demo) 'Beyond Comprehension' At studio Los Angered with Andy La Roqcue behind the mixerboard! The demo get a good (heavy) sound and was met by a really good response by media and audience. In late 2004 the bassplayer Patrik Syk left the band and Peter Laustsen did not only got the spot as bassplayer, he also have alots with musical contacts. After that the band inked a recorddeal with USA label Khaosmaster Productions on a release of their demo Beyond Comprehension as an MCD wich was released in USA and Europe and get very good respons. In Europe the band get alot´s of Good reviews, magazine Close Up wote them as best band in 2005. 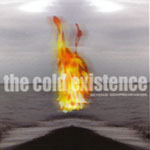 In late November, early December 2005 The Cold Existence started to record their first full length album , 'The Essence' in studio Los Angered . Six month after recording 'The Essence' album Björn Eriksson left the band due to lack of interesst for metalmusic. But he was soon replaced by hungry youngster Jimmie Olausson. With offers to play in concerts such as Metal Mania Open Air Fest in Slovenia , not to mention the offers from Germany, Netherlands and Serbia The band feels stronger than ever before. 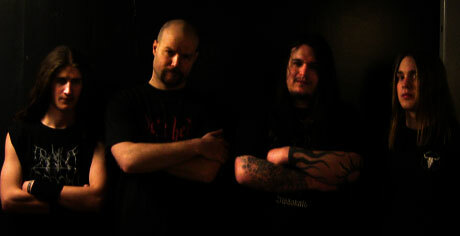 And The Cold Existence have material for a new album wich is planned to be recorded end 2006 for an early 2007 release. The Cold Existence has set the goal to play 110 % ( if not more) heavy metal, to record a new full length album, and to play more concerts abroad.